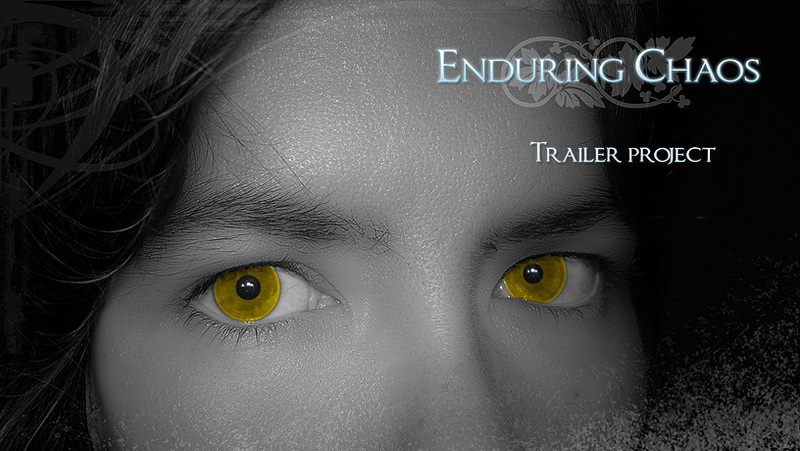 I’ve been keeping it under wraps, but the cat’s out of the bag now: I’m producing a live action trailer for my next book Enduring Chaos! I’m very excited about this. We already have a great crew gathered together and things are starting to come together for what looks to be a dramatic and exciting book trailer. But I need your help! Please visit the crowdsourcing campaign on Indiegogo to help us fund the project and bring Enduring Chaos to life. Any amount you can contribute and any way you can spread the word about the trailer will help. And I’m offering pre-release ebooks starting with $10 contributions, and paperbacks from $35! Aurius, an original young adult fantasy novel by Catherine Fitzsimmons, is now on sale through my website. Click over to order your copy today! For those of you interested in ebook versions, sale information will be made available later this week. I’ve also updated the novels section here with more material on Aurius, including reviews and sample chapters, so be sure to head over there for more information about the book. Posted by thejinx in aurius, site, writing. It has been in the works for a while, and now, it is official: Brain Lag is a publisher. Our first book, Aurius, a story of destiny, reality, self-acceptance, and home (see the novels section for more information) will be released this summer and debuting at Gen Con in Indianapolis, IN on August 5. Cover art and interior layout have been completed and we are currently in negotiations with printers, searching for the one that will best suit our needs. As a result of this shift in production, I’ve updated some things around this blog and will be implementing some further changes. My book reviews will no longer appear here; if you’re still interested in them, visit my LiveJournal. I am also going to make a serious effort to updated here more often. I will share the cover artwork for Aurius soon. So, stay tuned. Exciting things are happening with BL. Posted by thejinx in aurius, enduring chaos, halcyon, writing. More responses to submissions today than I’ve ever received before! The second publisher to which I submitted Aurius for publication does not think it can sell the story. Not quite as polite as my first rejection letter – it may have been a form letter that’s been in the files for decades, but there’s something satisfying about the line, “Thank you for giving us the opportunity to read your work” – but honestly, I wasn’t expecting a response at all from this publisher. According to the estimates on their website, I should have received a response last August. But, that means that it’s off of other people’s desks and I can focus my attention on a publisher whose submission requirements suit Aurius better. And, it gives me closure that can spur me into crafting a better pitch for it. I’ll admit it; Aurius works better as a complete novel. The opening chapter or so isn’t the strongest way to sell it. The fact that the publisher to which I’m looking now accepts only complete manuscripts is encouraging. At the moment, Halcyon is complete. It needs a few more read-throughs, with some time to sit in between, and perhaps some feedback from other readers, before I can truly call it complete. But, my edits were driven by and focused on the Amazon.com Breakthrough Novel Award, the submissions process of which is currently open. I entered Halcyon into the contest Monday, just as it is. I’ve spent some time pondering over various aspects of the contest entry through the week and have altered it as such, but now, I’m letting it go. It is entered; it shall stay that way. Wish me luck. Last year, I believe I took something of a break from writing after I completed Aurius. I took the time to go through those extra read-throughs and time to stew, as I didn’t have a contest to enter at the time, and when I deemed the story fully complete, I basked in the satisfaction of completion briefly. Since I’ve been focusing on Halcyon non-stop since I began writing it in November, however, I didn’t have any breaks as precedent to take time off from writing, and to not be writing simply didn’t feel right. So, due primarily to recent inspiration and brainstorming, I immediately delved back into The Fire Within. This is the revise/rewrite of my first truly completed novel – which was only two years ago – which I had begun last spring, but eventually set aside as fundamental story issues remained unresolved and inspiration flowed in for Eyes of a Dragon, my first attempted novel. I’m still much farther along in Eyes than TFW, and though I am mildly disappointed that I’m not working on the former, I’m enjoying getting back into the latter. It’s going pretty well so far, considering I only got up to the fourth chapter before I decided my revisions could be improved upon. The entire chapter has been rewritten this week, taking only parts of one scene from the previous incarnation, and I am working my way back up to chapter five, which shall now be chapter six. I was concerned with the length of the story when I was writing it initially, but its 115,000 words or so don’t come close to the roughly 200,000 words of some of my favourite novels – possibly more, Mistborn was a hefty read and its sequel is even longer – so, this time, I’m going to allow the story as much time as it needs to get where it’s going. And I’m going to enjoy the ride along the way. In any case, I don’t think traditional publication is an avenue I can necessarily explore for TFW, as for all practical purposes, it has already been published. This whole “professional publication” idea is a relatively new one for me. But no matter. I’m not doing this for money, and my only desire is for my work to be read. I had to start an account with CreateSpace for ABNA, anyway; perhaps when I’m done with the novel I’ll make use of it. For now, I have a lot of writing to do to get to that point. I was a lazy sot yesterday and didn’t end up writing anything for Eyes of a Dragon, but I am now officially as far along in the story as I have ever been. Not that I’ve been using much of previous drafts – I’d wager a conservative guess of maybe two full pages from the last attempt – but from here on out, there’s no precedent. I’m really looking forward to writing out the scenes I’ve had scripted out in my head for years and have never made it so far. I checked out the next-latest – 2007 edition, I didn’t realize until I got home with it – edition of the Writer’s Market from the library last night. Just spent a few minutes flipping through the fantasy listings. I may have made an oops regarding my first two submissions so far, but I’m not too concerned about it. Aside from not addressing my proposals to a name – which I apparently needed the Writer’s Market to obtain or else phone the companies – I think my query letters were pretty strong. I did a good deal of research before I wrote it up and the Writer’s Market didn’t offer any suggestions I didn’t already know in that regard. I’m a little discouraged by the number of fantasy publishers that said ‘agented submissions only,’ but it’s not a big deal. Ultimately, the reasons I have chosen to represent myself to publishers are that I would prefer to have complete control over the discussion of rights and such and that it seemed to me the process for acquiring an agent was essentially the same as sending out proposals for publication. So, I figured if I’m going to have to write up the query letters and send out a bunch of paper copies and SASEs, I might as well do it with the part that counts. I’ve done my research and I’m going to be a little arrogant and say that I think I wrote a pretty good query letter. I’m expecting rejection before acceptance and I’m okay with that. I need to take some more notes on publishers and start up a spreadsheet regarding the proposals I have sent out already. It makes sense, as suggested in the 2007 Writer’s Market, that organization is an important aspect of this business. Should be getting a response from the e-mailed submission within a month or so. Sorry, I still haven’t finished a new picture for last week yet. Summers always seem to get busy, and with working forty hours a week this summer as well, there just hasn’t been a lot of time left to work on art. I did, however, send off my second proposal for Aurius today. Thanks to my dad for sending me stamps. Wish me luck. I need to decide now if I should look into other publishers, or wait for at least a response to the e-mail submission before looking into another one.